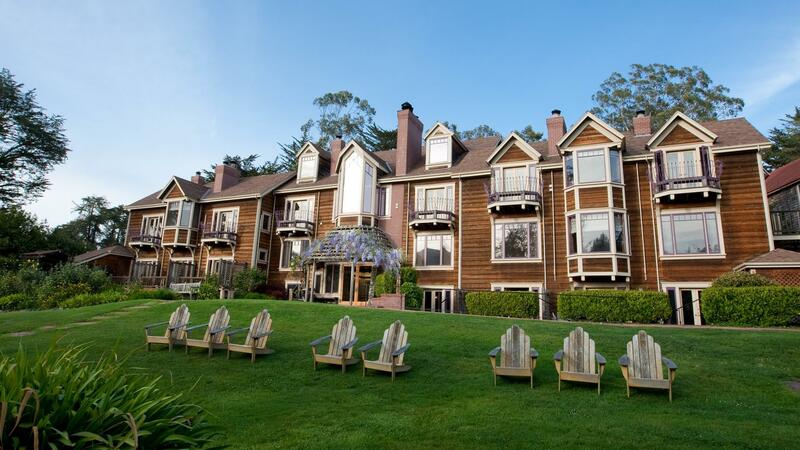 Rent Point Reyes Seashore Lodge | Corporate Events | Wedding Locations, Event Spaces and Party Venues. With a setting you’re likely to see in one of those gorgeous photographic coffee table books, the lodge has long maintained a reputation as a terrific romantic hideaway. Built in 1988 and designed to complement the turn-of-the-century architecture of the quaint town of Olema, the Point Reyes Seashore Lodge and Restaurant offers 22 rooms and two private cottages bordering the Point Reyes National Seashore Park on the delightful Olema Creek. After a day of adventure at the park or visiting the nearby Sonoma Wine Country, return to this Point Reyes Lodge for a restful evening in the quiet Marin countryside. Sit by a cozy fire in your room, relax in a whirlpool tub, or simply settle into an Adirondack chair in our backyard and watch the creek flow by.